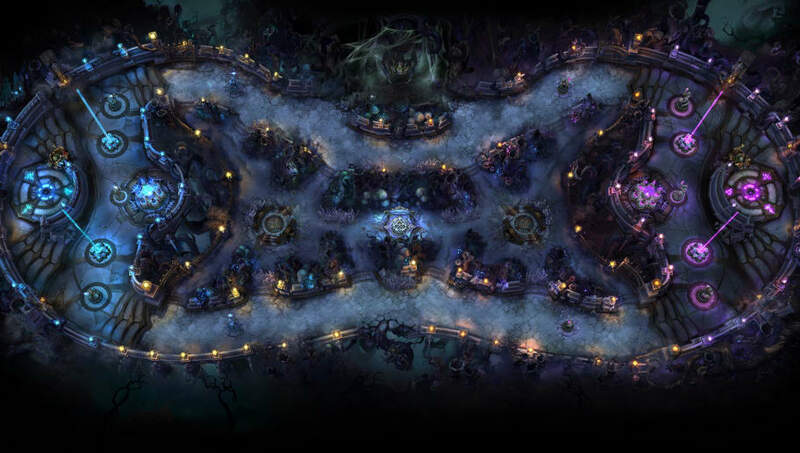 Riot Games is open to adding a gold funneling nerf to Twisted Treeline which was stated by League of Legends lead gameplay designer Andrei 'Meddler' van Roon. A concerned League of Legends player voiced their thoughts on funneling in Twisted Treeline, calling for a nerf. Replies to the post varied, but Meddler decided to voice his agreement with the fan's worries. "We're definitely open to adding the gold funneling nerf to TT," he said. Meddler explained Riot Games did not want to add a nerf in at the last minute of Patch 8.14 without enough consideration. "Our standard approach is to have systemic changes like this affect all maps by default. In this case, though given gold funneling's been pretty meta defining on TT for a long time we weren't confident in our understanding of whether abruptly changing that would be a good idea or not," the post read. Riot Games intends to get the feedback of Twisted Treeline players in regions where it gets a noticeable amount of play and it will act according to the direction the discussions go. "If the result of that discussion is that it looks like we should try the funneling change on TT as well we'll then make sure it's getting at least minimum needed testing for inclusion in an upcoming patch (could well be 8.15, if that's road to go down in the first place)," Meddler said. Meddler talked about potential nerfs to gold funneling on Wednesday.